Professionals want your event to be a success! They are going to go out of the way to make sure that everything goes off without a hitch. The first things to start with are the right supplies! Professional Face Painters use Top-Notch Hypoallergenic Makeup that won't stain skin, cause breakouts or leave a nasty rash*. 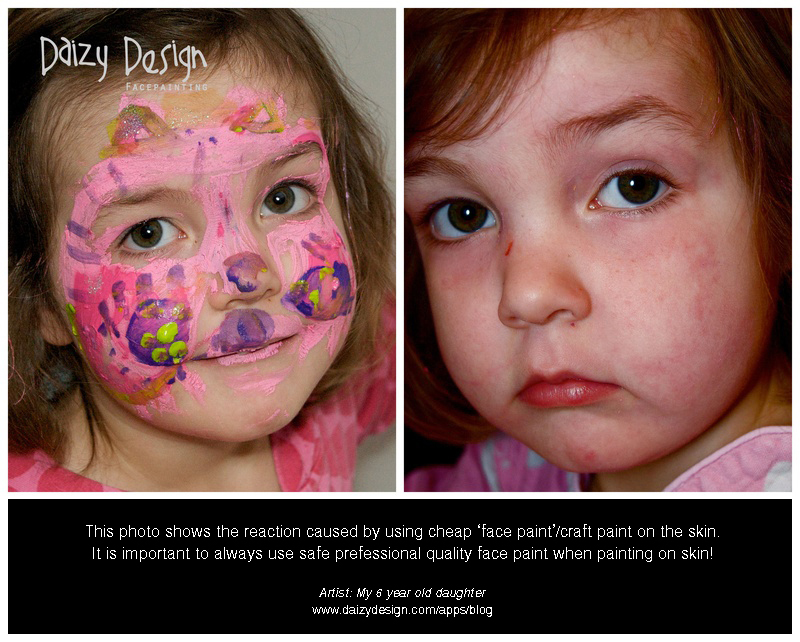 Make sure your Face Painter is using high quality makeup not cheap store face paint from Walmart. 1) The balloons are higher quality so they are less likely to pop when they are being twisted in to awesome shapes. 2) Being biodegradable means not having to worry if you don't pick up all the pop balloon pieces from outside because they will biodegrade as fast as an oak leaf. 3) The art will last longer! The balloons are thicker so it is harder for them to deflate resulting in the longer lifespan of your balloon creation! Make sure your balloon artist is using either Qualatex or Betalatex brand balloons to insure a safe, fun event with less balloon popping! Having a contract protects you from all these instances and gives you the peace of mind that your event will be a success! Having a contract also protects the entertainer from last minute cancellations, destruction of supplies, miss communication, babysitting 30+ kids with no help, & more! If nothing else is taken away from this post take away this: "Always have a contract with your entertainer" it will protect you from 99% of all problems. I am sure you can probably assume who charges more from the pictures below. That's not a bad thing, It just means that the artist who pays attention to detail probably charges for it. So don't skimp when hiring a professional. You aren't just paying for a balloon or a painted face; you are paying for memories. It's okay to splurge on lifetime possessions such as memories that are enriched by details. If you want your event to be a success, you need to hire a professional who has the tools, experience and know how to make sure it is.